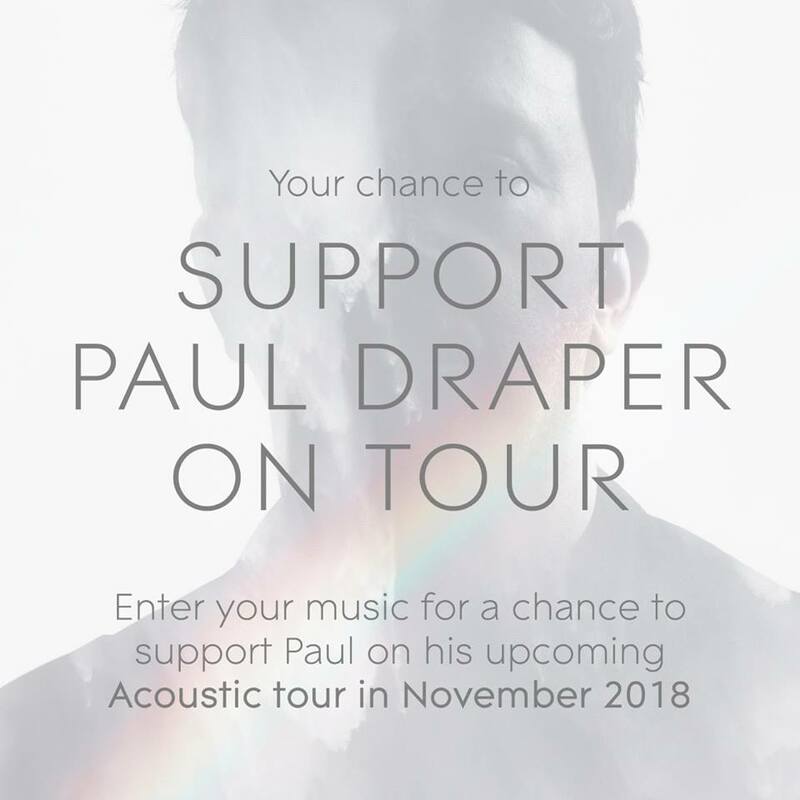 Paul has announced that he’s looking for local solo/acoustic artists to support him at each of his upcoming acoustic shows at Bath, Wolverhampton, Cambridge, Leicester, York, Edinburgh, Aberdeen and Stockton-on-Tees. Entries close on 12th October 2018 and the winners will be announced on the 19th October 2018. On the tour Paul will be performing tracks from his debut solo album Spooky Action, as well as Mansun Official classics and deep cuts together with as yet unheard songs from Paul’s second solo album, due out in 2019.